Our perception of the world and our relationships with other people are not, I argue, distinct activities. 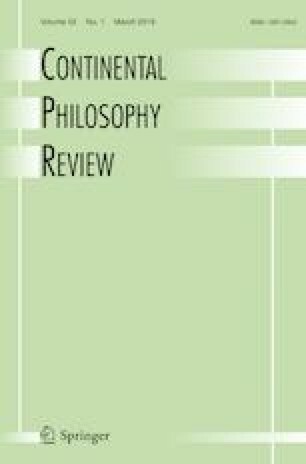 Focusing, first, on Merleau-Ponty’s description in the Phenomenology of Perception of his playful interaction with an infant, and, second, on contemporary research on the phenomena referred to as neonate imitation, joint attention, and mutual gaze, I argue that perception can be a collaborative endeavor. Moreover, this collaborative endeavor, which is definitive of both infant and adult perception, entails trust; our trust in others is not simply a feeling that we perceive but also a way of perceiving. As infants, our trust in others is our perception of the world we share with our caregivers as the world we will also share with others; it is our perception of the world we share with our caregivers as real. As adults, we live our trust in others by perceiving the objects that surround us in ways that protect, rather than damage, the shared worlds that we create in our relationships with them.